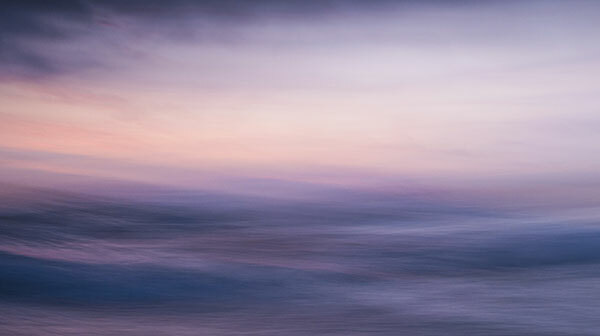 Long-exposure photos of seascapes inspired by the paintings of William Turner. 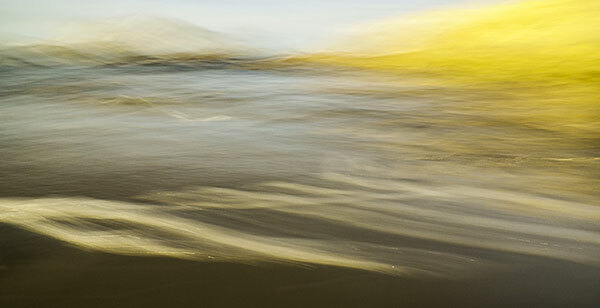 As a graphic design student in London, I saw some of William Turner's land and seascapes and was intrigued by his interpretation of light and the movement of water. 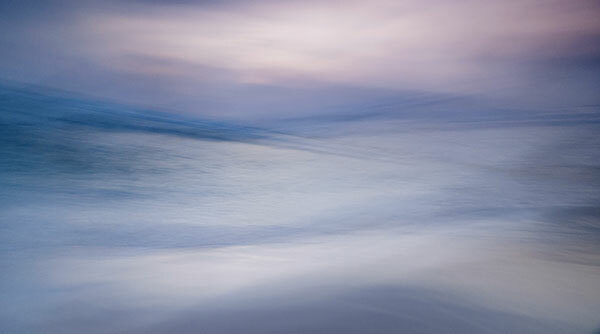 Now, after having spent over 30 years as a designer, I have started photographing long-exposure seascapes, mainly at sunrise and sunset — trying to capture the flowing quality of water and time. Usually, photography is a medium that freezes a moment in time but I believe my work extends that moment so that the flow of time can be seen. 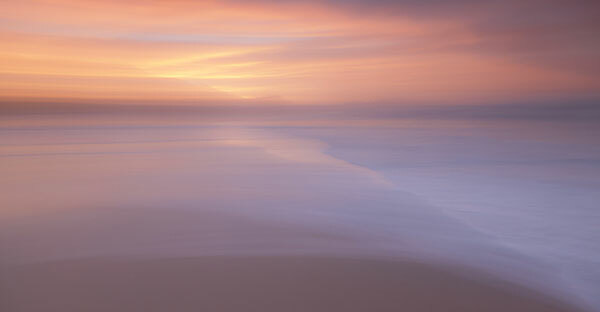 My technique imparts a painterly quality to my work, but none of my images have been processed through any “paint effects” software of filters. 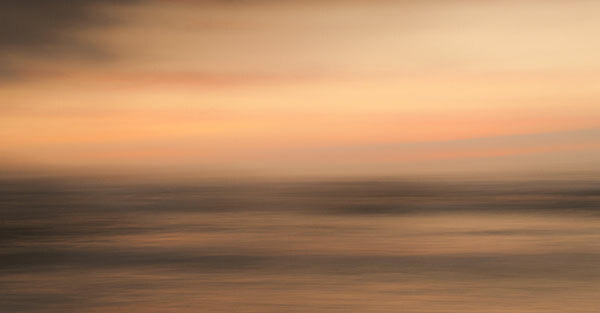 I prefer printing my work on canvas which complements the effect.